Remember the previously demonstrated technique to Hack into air-gapped computers using Heat waves? 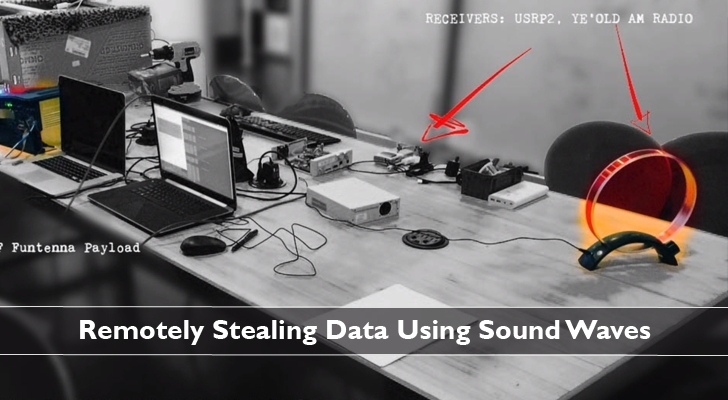 What if the same was possible to hack computers to steal data using Sound waves? Imagine, If a remote hacker could steal classified information from a targeted computer without having to physically and Internet access to it. A team of security researchers has demonstrated exactly the same by developing a new hacking technique called Funtenna that uses sound and radio waves to siphon data from computers even without Internet access. 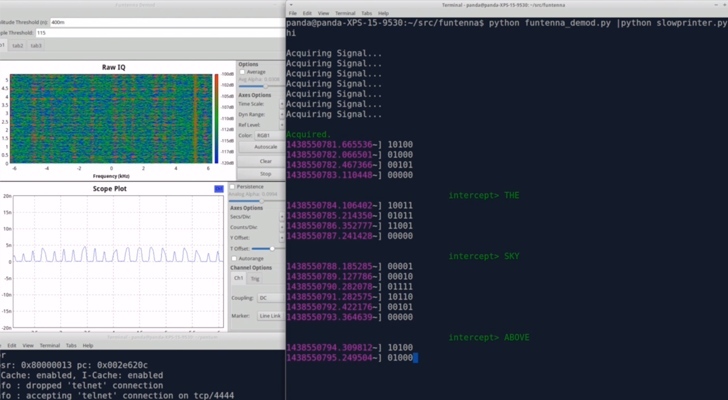 According to a lead researcher Ang Cui of Red Balloon Security, the Funtenna radio signal hack has the potential to turn Internet-connected devices (printer, washing machine and air conditioner) – popularly known as the Internet of Things – into bugs that can transmit data out of a network using sound waves that can not be heard by a human ear. The attacker only needs to install malware on a target's device such as a printer, office phone, or a computer. The malware overtakes the control of the electronic circuit of the device (general-purpose input/output circuits) and vibrates them at a frequency (which transmits radio signal) of the attacker's preference. An attacker then can pick up these signals using an AM radio antenna (Funtenna) from a short distance away. "You have network detection, firewalls… but this transmits data in a way that none of those things are monitoring, this fundamentally challenges how certain we can be of our network security," said Cui. Here, the hacked devices are themselves acting as transmitters. Therefore, the new Funtenna technique bypasses all conventional network security methodologies. Funtenna is actually using a technique known as "Hardware Agnostic," which is generally available to operate with all modern computer systems and embedded devices. The team showcased its new technique in action at the Black Hat security summit in Las Vegas on Wednesday. It will also release a "proof-of-concept" code for researchers and hackers.